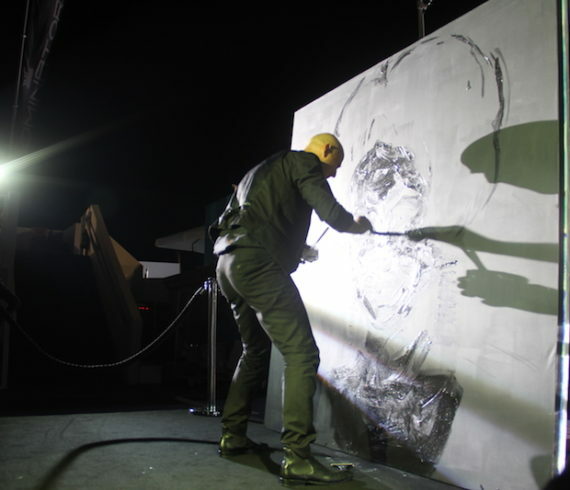 Two days performance for our great Splash Painter, Viktor in Lyon, France. The performance happened in Lyon at the venue Double Mixte. A huge congress and exhibit center. The client, a French company, wanted to reveal and communicate on its new logo. The use of the Splash Painting was the opportunity to explain once again the company’s job to finally reveal the new logo.